Resource > Blu-ray > How to Rip Blu-ray Movies to SBS 3D Videos? Summary: Nowadays, 3D TV makes people enjoy fantastic 3D effects at home. But if you have a 2D Blu-ray, you can also enjoy its 3D effects on 3D TV. How? Just convert the 2D Blu-ray to SBS 3D video. If you have a 3D Blu-ray but do not have a 3D Blu-ray player, you can also enjoy the 3D Blu-ray movie on your 3D TV only if you convert the 3D Blu-ray to SBS 3D video. So what is SBS 3D? Now please follow me to have a look. SBS 3D, short for side-by-side 3D, is one of the most popular 3D formats that can be played on 3D TV. SBS 3D consists of two halves of images on the left and right for left eye and right eye respectively, with the entire frames for the left eye and right eye scaled down horizontally to fit the both sides of frames. For example, for a video with the resolution of 1280 x 720, the horizontally scaled frame for the left eye will have a resolution of 640 x 720, and the frame for the right eye also has the same 640 x 720 resolution. There is another 3D format named top/bottom 3D is similar with SBS 3D. The difference lies in that top/bottom 3D consists of two halves on the top and bottom and the entire frame for each eye is scaled down vertically to fit the top-half and bottom-half of the frames. SBS 3D is popular for the following two reasons: SBS 3D uses the same bandwidth as regular HD content, therefore it can be transmitted in the way that HD signals are transmitted; users can back up the large source sequential 3D to smaller SBS 3D to watch on 3D devices. Of course the video quality of SBS 3D won’t be as good as sequential 3D content, but the loss of quality will not be so serious and you can still enjoy the exciting 3D effect. 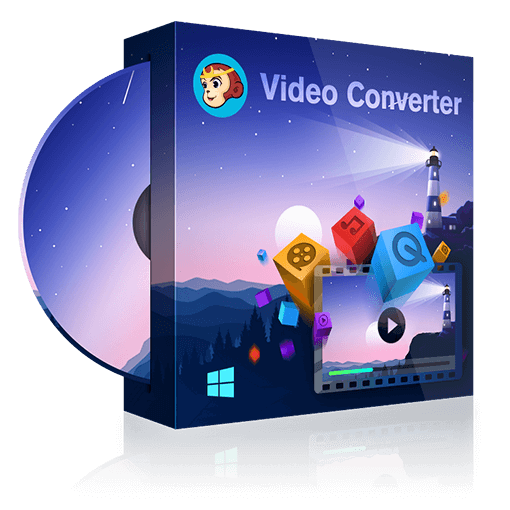 DVDFab Blu-ray Ripper is a professional yet easy-to-use ripping tool that can rip any 2D/3D Blu-rays to various audio and video formats, including SBS 3D video in various container formats like 3D AVI, 3D M2TS, 3D MKV.4K, 3D MKV.H265, etc. DVDFab Blu-ray Ripper is outstanding for its fast ripping speed and excellent video quality. Besides SBS 3D, you can also rip any 2D/3D Blu-ray to Anaglyph 3D, 3D video in two separate files and 3D video two video streams in one file. Furthermore, you can customize your video by using the built-in video editor, changing the audio and video parameters on Advanced Settings panel and choosing the chapters, audio tracks and subtitles you want. Now let me show you how to rip 2D/3D Blu-ray movie to SBS 3D video played on 3D TV. How to Rip 2D/3D Blu-ray Movies to SBS 3D Videos? DVDFab Blu-ray Rippersupport both Mac and Windows systems, please click the link to download the version you need. You can enjoy a 30-day free trial if this is the first time you use DVDFab Blu-ray Ripper. Step 1: Run DVDFab 10, go to Ripper module and load the Blu-ray. Step 2: Navigate to the profile library on the top left to choose a 3D format you want. Step 3: Click the “Advanced Settings” icon to customize your settings. Here you can change the parameters of video, audio freely. But please remember to choose the SBS 3D format on this panel. Move to the bottom of the panel, choose the “Split Screen” (SBS 3D) format and opt for the half size or full size you want. Step 5: Go to the bottom of the main interface to select a directory to save your output video and the click the “Start” button to begin the ripping process. OK, done. It is easy to convert Blu-ray to SBS 3D video with DVDFab Blu-ray Ripper, right? So if you want to convert Blu-ray to SBS 3D, never miss DVDFab Blu-ray Ripper! Looking for some latest Indian movies? Then please follow us to have a look at the top 20 latest Indian movies that have great storylines. Halloween movies with horror scenes can make people excited. If you like Halloween movies, please check the article to find the Halloween movies you want to watch.